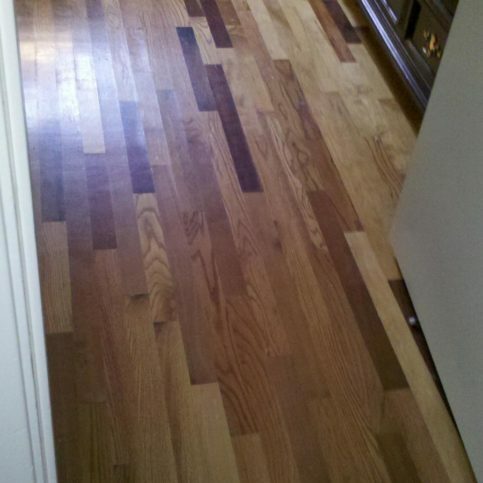 A hardwood floor adds comfort and natural color to any area of your home or business.. When newly installed, a hardwood floor reflects the light and provides an even sheen across the floor. However, with age and foot traffic, the finish on your hardwood floor may start to dull and wear away. Refinishing a hardwood floor is a major job. Sometimes you can repair surface problems with minor touch ups, using wood furniture marker that is the same color as the wood stain. But in some cases, you will need to remove the old finish and apply a new finish. A full refinishing includes sanding away the old wood finish and the top layer of stain. In order to refinish your floors effectively and bring back the original shine, consider hiring a professional hardwood floor refinishing company that is Diamond Certified in order to get the best results. If your hardwood floor has faded or if the sheen is rubbed off, you will need to refinish the floor to bring back its original look. Other issues that will require a new finish to fix are bubbles, cracks, or peeling away from the wood. Does a drop of water bead or soak in slowly? If so, you may just need to give your floors a good cleaning and polishing. Does a drop of water soak in quickly? If so, the wood fibers of your flooring may already be exposed. If this is the case, your floor needs refinishing. Is the floor warped, deeply stained, squeaky, or damaged in other ways? If the answer to any of these questions is yes, then it is most likely time to refinish. The sanding process may remove a lot of surface. 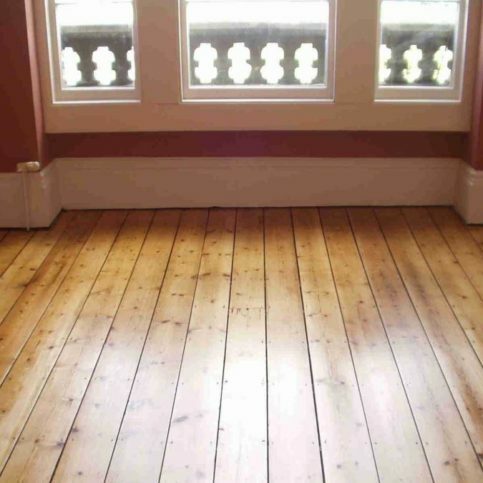 In order to withstand the sanding process, be sure that your floor is a minimum of -ae” thick. Some newer floors are very thin and can’t be refinished. If your floor is as thin as -o”, you may have to consider other alternatives. If your floor is thinner than -ae” thickness, you will need to seek professional advice. If your hardwood floor is underneath another floor covering, the old floor will have to be removed. A tongue and groove floor can’t be sanded as many times as a plank floor. Here are a few steps to take when you are going to have your floors refinished. All furniture must be removed from the room. If the room opens to another room or area of the house, you will want to put up large plastic tarps in order to keep the dust contained. Take your pets to a friend’s home if you are unable to keep them locked in an area of the house that is away from where the floors are being refinished. A pet can cause damage to a newly refinished floor simply by walking on it. 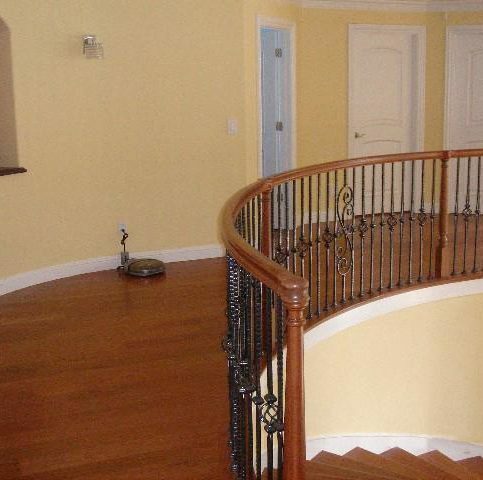 Also, materials used to refinish the hardwood floors may be deadly if consumed by your pet. Furthermore, your pets’ hearing can be damaged from the loud noise from the floor sanders. If you decide to remove carpet or tile from the floor yourself, be careful that you don’t damage the wood. If you make knife marks in the surface of the hardwood floor, they might be impossible to sand out. Older tile may contain asbestos and should be removed by a professional. Main a warm temperature in the room that will be refinished in the winter and a cool temperature in the summer. Do not turn off your heating or air conditioning systems. When a hardwood floor refinishing company is refinishing your floors, dust will be an issue. In order to remedy this, some professionals have dust extraction systems. Others have a bag attached to their sanding equipment. 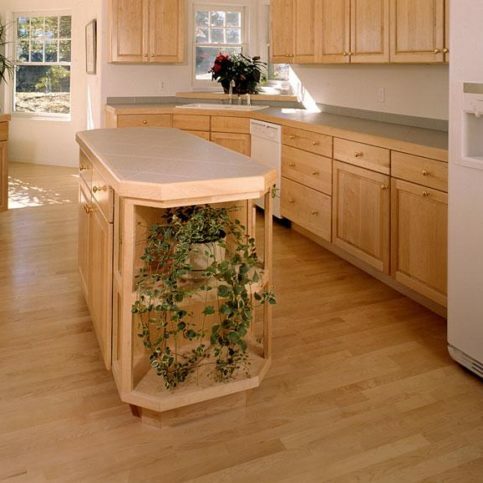 The dust extraction system will take care of a large amount of the dust and older finish materials that would otherwise linger in your home long after the floor contractor leaves. If your hardwood refinishing company does not have a dust extraction system, insist that the refinisher tape off rooms and cover drapes. You may want to call in a cleaning crew once the work is completed. Poor dust control can affect the final appearance as well as have negative effects on your health. Once your floor has been refinished, it will need some time to cure. Water based finishes take the least amount of time. However, conditions vary and can largely depend on humidity within the home or conditions outside. A professional floor finisher can accurately evaluate when it is safe to move the furniture back into the room. You may also want to inquire about area rugs and when it is safe to put them back on the wood floor. Usually a room that has been finished with a water based finish will take approximately two days to cure. Wood floors that are finished with an oil based finish can take up to three days or more to cure. Why Trust Diamond Certified Hardwood Floor Refinishing Companies Rated Highest in Quality? Roy Nelson is a 29-year veteran of the wood flooring industry and owner of Roy’s Woodcraft Flooring, Inc., a Diamond Certified company. He can be reached at (408) 622-0366 or by email. 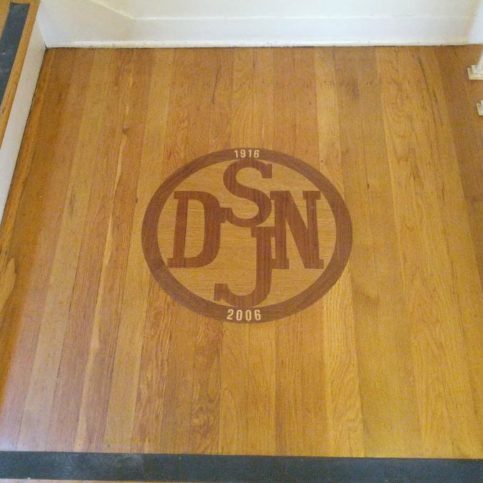 SAN JOSE – For Roy Nelson, installing hardwood flooring isn’t just a job—it’s a family tradition. “My family background consists of electricians, drywallers, framers and hardwood flooring installers, so I basically grew up around all those trades,” he explains. “Because of my roots, I consider my company a family business and continue to practice the same values and traditions that I was mentored with.” After 20 years, clients of Roy’s Woodcraft Flooring, Inc. continue to benefit from Roy’s combination of expert knowledge and old-school principles. When he’s not finishing or installing hardwood flooring, Roy is likely to be found outdoors, whether hiking, biking or swimming. He also stays actively involved with his kids’ scout troops. “Between my four kids, I have Boy Scouts, Girl Scouts and Cub Scouts, so I help out with a lot of their activities, from campouts to canned food drives and other charity events,” he says. A: I like the Oakland Raiders and the San Francisco Giants. It’s kind of a mismatched allegiance, but those are just the teams I grew up rooting for. 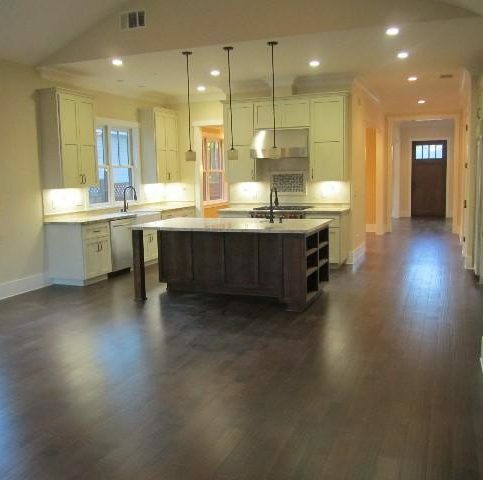 Elegant Floors installed the flooring in this Cherry Creek kitchen. 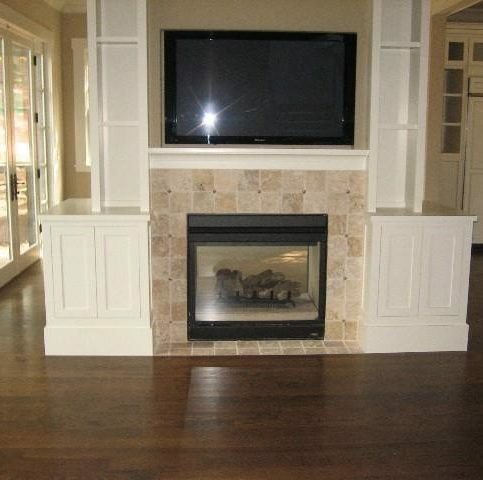 Roy’s Woodcraft Flooring provides custom installation features. 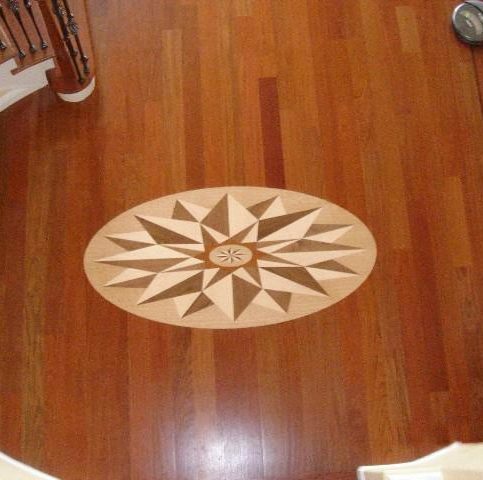 Roy’s Woodcraft Flooring offers custom flooring designs. 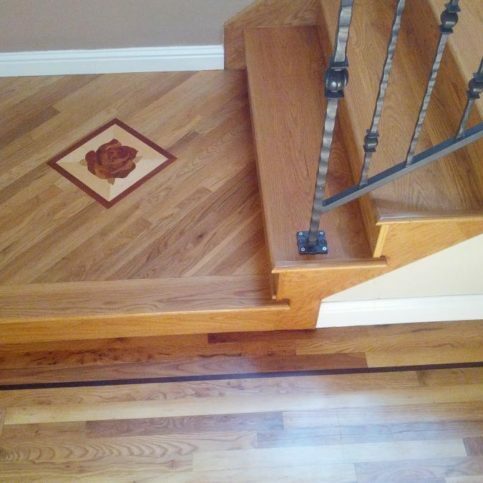 Roy’s Woodcraft Flooring can handle complex angles. Many factors should be considered before selecting a wood floor refinishing company in Santa Clara County, including the smaller cities of Alviso, Coyote, Holy City, Los Altos, Permanente, and Saratoga, that will meet your needs the most successfully. Write down everything that you’re searching for before you begin your research. Think about the following questions before making your final selection of a wood floor refinishing company. Do I want a Diamond Certified wood floor refinishing company that is rated best in quality and backed by the Diamond Certified Guarantee? What is the projected date that I want my floors refinished by? What type of finish do I want for my hardwood floor? 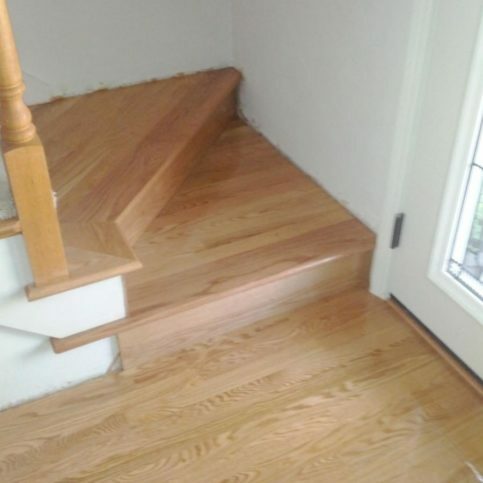 The next step is to interview wood floor refinishing companies in Santa Clara County, including the larger cities of San Jose, Sunnyvale, Santa Clara, Mountain View, and Milpitas. Questions you may want to ask include the following. Does your flooring company offer any guarantees or warranties on your refinishing jobs? Does your hardwood floor refinishing company have any references that I may contact? How long should it take for your hardwood floor contractor to complete the refinishing project on my floor? Does your hardwood floor company carry workers’ compensation and liability insurance for your flooring refinishing crew? How many flooring refinishing projects has your flooring company completed in Santa Clara County? Does your flooring company provide a written contract for refinishing floors? How and when do the flooring contractors clean up after a refinishing project? Will your hardwood floor company provide a written estimate for a hardwood floor refinishing project? It’s best to choose a Diamond Certified hardwood floor refinishing company because all certified companies have passed an in-depth ratings process that most other companies can’t pass. If you want quality from a wood floor refinishing company in Santa Clara County and the greater Bay Area, you can have confidence choosing a Diamond Certified company. Diamond Certified reports are available online for all certified companies. And you’ll never be fooled by fake reviews. That’s because all research is performed in live telephone interviews of actual customers. If you can’t find a Diamond Certified hardwood floor refinishing company within reach, you’ll have to do some research on your own. If you do, it’s wise to call some references provided by your wood floor refinishing company. Keep in mind, though, that references provided to you by the wood floor refinishing company are not equal in value to the large random sample of customers surveyed during the Diamond Certified ratings process. Instead, references given to customers from companies are often cherry-picked instead of randomly selected from all their customers. 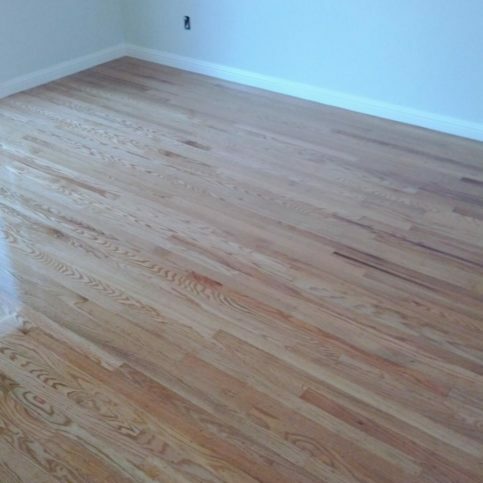 Were you satisfied with the service from (hardwood floor refinishing company name)? 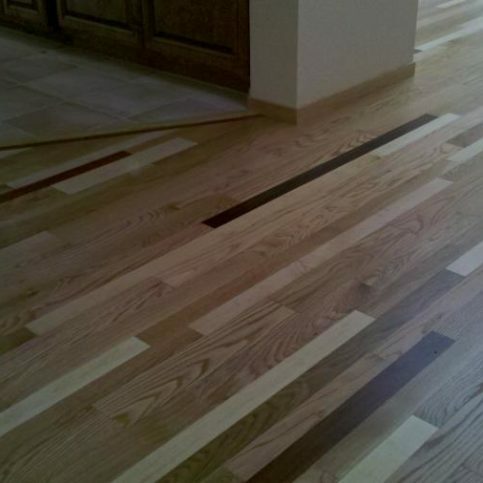 Would you recommend this hardwood flooring refinishing company to your family and friends? If you need a hardwood floor refinished in the future, will you consider hiring this hardwood floor refinishing company again? Your choice of hardwood floor refinishing company is important to you and your family. So before deciding on the best hardwood floor refinishing company in Santa Clara County for you, it’s important to consider the following questions. What are the varnish options available and which ones do I prefer? Which company has payment options that work the best with my financial situation? Is my company of choice charging a reasonable price for quality hardwood floor finishing and service? What is my time frame for this project: when do I need to have it accomplished? Which companies in Santa Clara County, including the larger cities of Palo Alto, Cupertino, Gilroy, Campbell, and Morgan Hill, offer the better warranty for the price? Now that you’ve located a local hardwood floor refinishing company in Santa Clara County that meets all your ideals, it’s the perfect time to ask for a written contract. This contract should include written details on the price, quality and materials to be used, as well as the job start date and intended completion date. When signing the contract, don’t hesitate to put special requests or verbal agreements in writing. This will protect you and help ensure you get the services you have agreed on. Along with end dates and any special instructions, these add-ons may also include related issues that aren’t always covered by a standard contract. For example, regardless of how careful your contractor promises to be, sometimes damage can unexpectedly occur when refinishing a hardwood floor. But you can protect your property by being proactive. 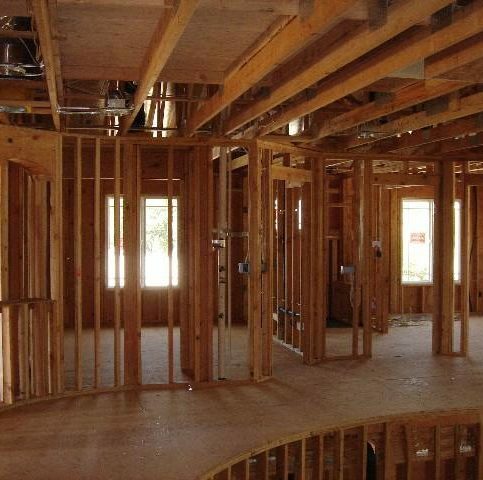 Before the work starts, schedule a walk through with the company supervisor and conduct a pre-work inspection of your property. List or photograph your home and the areas surrounding where the hardwood floor will be refinished. Speak with a company representative about reasonable expectations for protecting your home during the work. When you’ve reached an agreement, both you and the contractor should sign and date the document. When the work is done, do a final inspection together and verify that your expectations were met. When you’re completely satisfied with the information your Santa Clara County hardwood flooring refinishing company has given you, sign the estimate and service agreement. Verify that the hardwood floor refinishing company has a phone number where they can reach you at all times. If the actual costs exceed the amount agreed upon on your estimate, make sure that the hardwood floor refinishing company representative gets your final approval before moving ahead with refinishing the hardwood flooring. 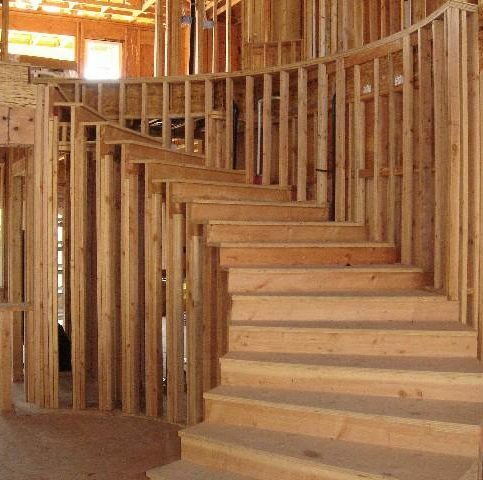 Your approval must be noted on the estimate and the invoice. It’s the hardwood floor refinishing company’s responsibility to put on quality hardwood floor refinishing using the best possible refinishing products and techniques. But you play a big part in the success of your hardwood floor company, too. 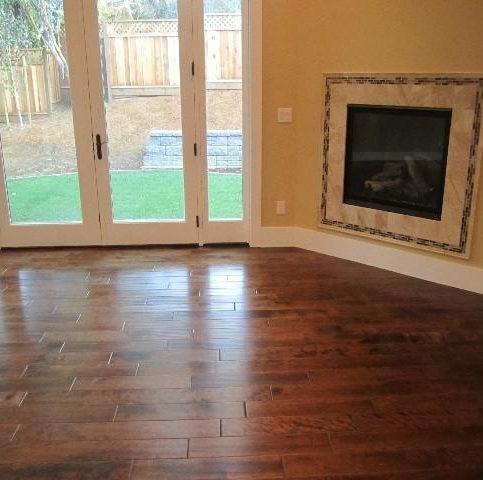 Here are a few simple steps you can take to be a good customer when hiring a Santa Clara County wood floor company. When your contractor contacts you, return calls promptly to keep the hardwood floor refinishing company on schedule. Pay for the hardwood floor refinishing company’s work promptly. Ask your hardwood floor refinishing company representative if you should call to check on the progress or if he will call you with updates. 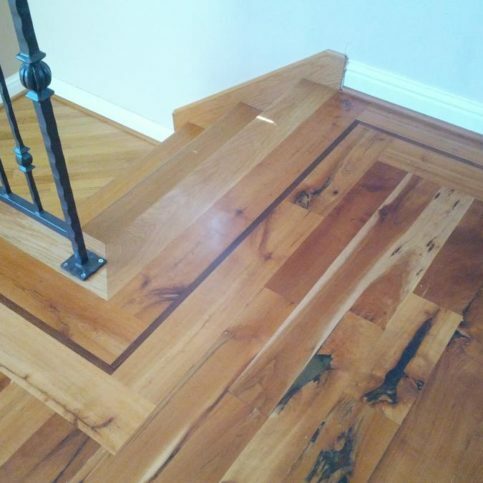 Be clear and upfront with the hardwood floor refinishing company. Let them know what you want from your hardwood floor refinishing company, the long-term outcome you’re expecting and specific ways they can satisfy your expectations. 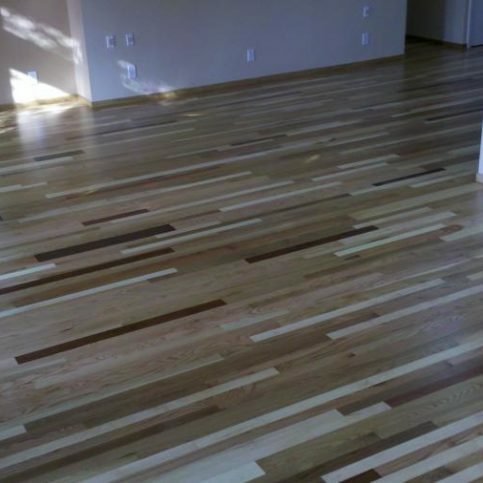 Before you hire a hardwood floor refinishing company in Santa Clara County, including the larger cities of Palo Alto, Cupertino, Gilroy, Campbell, and Morgan Hill, restate your expectations and goals, and reiterate to the wood floor company representative your understanding of the agreement. Most problems with local hardwood floor refinishing companies occur because of a breakdown in communication. By being clear about your expectations and theirs, you can avoid most conflicts. Be sure your service representative has a phone number where they can reach you at all times while they’re installing hardwood floors. The work will move along more smoothly if your hardwood floor refinishing company can reach you for any necessary updates, questions or work authorizations. Your responsibility in the case of hardwood floor refinishing problems and what you need to do in order to redeem the warranty. If the hardwood floor refinishing warranty coverage is transferrable to the new owner in the event that you sell the home or building in which the wood floors have been refinished. Hardwood floor refinishing companies in Santa Clara County, including the larger cities of San Jose, Sunnyvale, Santa Clara, Mountain View, and Milpitas, provide all types of refinishing for floorings. Following is a list of the most popular refinishing requests. Swedish finishes are high performing but expensive. 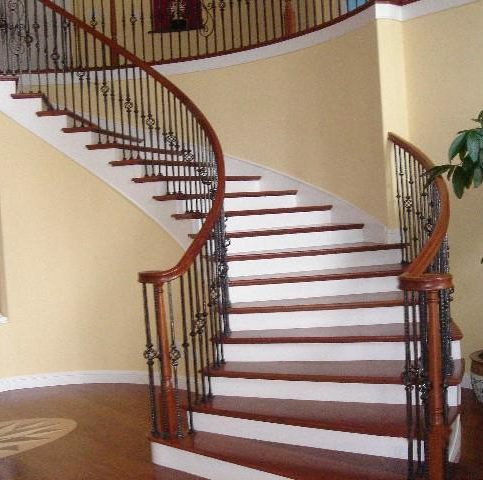 This type of finish provides excellent durability, it dries quickly, and it is recoatable. The disadvantages of a Swedish finish are that it is very difficult to apply and requires a carefully sanded floor. Waxing is not as common as it was in the past as it requires a stain or grain sealer prior to waxing. However, a wax finish does protect and extend the life of oil finishes. It is easy to apply, dries quickly, and is very durable. The disadvantages to waxing include that it requires maintenance such as touch-ups, buffing, and periodic removal and then rewaxing. It can become brittle and yellow the wood flooring. It can also be slippery when it’s wet. Oil finishes often have wax added them which provides additional protection against spills and abrasion. A hardwood floor with a new oil finish will dry quickly. The disadvantage of an oil finish is that it is not as durable as other finishes and it can take a long time to completely cure. Sometimes a finished wood floor with an oil finish will require waxing. It can also water-spot and collect dust. Oil-based finishes are amber in color. Moisture-cured finishes react with the moisture in the air in order to dry. Moisture-cured finishes have outstanding durability and provide the hardest wearing surfaces. This finish dries rapidly in a moist environment. The disadvantages of a moisture-cured finish include that it is difficult to apply and available only in a glossy finish. If the humidity changes significantly, it can lead to blistering or other defects. When dry this finish appears clear to amber in color. Most hardwood floors can be bleached for the purpose of complementing a d/(c)cor. Darker hardwoods such as red oak, hickory, and ash are well-suited for bleaching. Unfortunately, bleaching can weaken the wood fibers making the floors more susceptible to the wear of regular foot traffic. Water-based finishes are typically combinations of urethanes and acrylics with a catalyst mixed application. The rule of thumb is the higher the percentage of urethane, the more expensive yet durable the finish. Water-based finishes appear clear and will resist turning yellow over time. They have a good durability, dry quickly, and are non-flammable. However, water-based urethane finishes require more coats than solvent-based urethanes, and new coats of finish may not adhere as well to old coats of finish. Coloring refers to applying varying degrees of pigmented stains to lighter-hued wood in order to highlight the grain of the wood and add color. Pickling adds a stain to the pores and crevices of hardwood floors that contrasts with a bleached finish. Antiquing refers to the process of making hardwood look “aged” by distressing the edges, crevices, and cracks of the wood. Acid-cured finishes dry quickly and are highly durable. They appear clear to lightly amber in color. Below are key hardwood floor refinishing company terms and descriptions that will help you navigate your way through your wood floor refinishing from beginning to end. 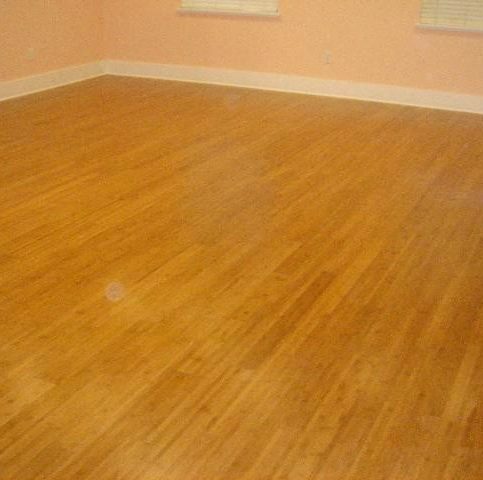 Bamboo hardwood floor refinishing refers to refinishing a hardwood floor made from bamboo. Bamboo is a wood from the bamboo tree that is environmentally friendly and durable. 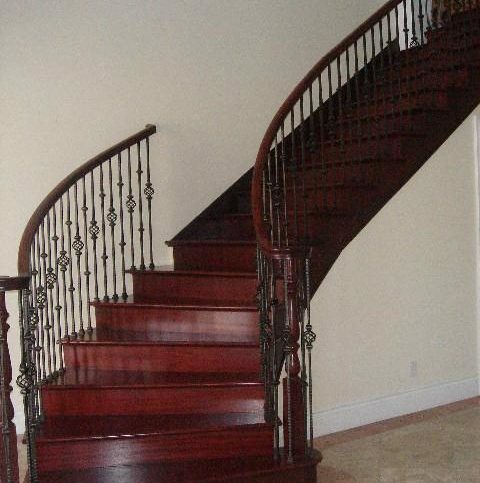 Brazilian cherry hardwood refinishing refers to refinishing a floor made out of Brazilian cherry hardwood. 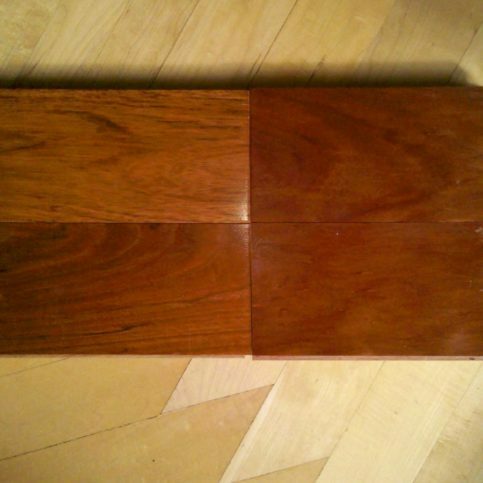 Brazilian cherry hardwood is an exotic hardwood flooring that has a natural reddish brown color and superior hardness. 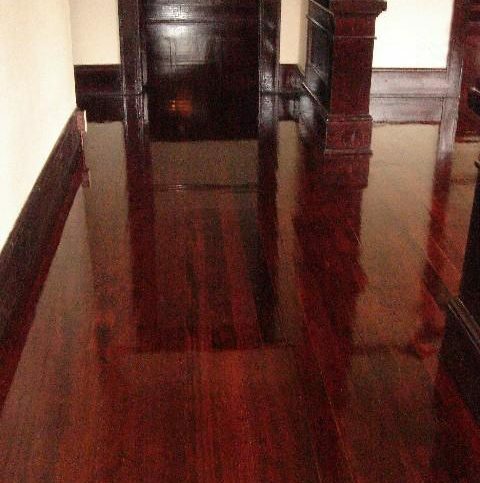 Cherry hardwood flooring refinishing refers to refinishing a cherry hardwood floor. Cherry hardwood floors have rich, lustrous hues that deepen as the floor ages. Because it is a soft wood, it isn’t usually used for a whole floor. It does make an excellent accent or decorative wood. Commercial hardwood floor refinishing refers to refinishing a commercial hardwood floor. Damaged hardwood floor restoration refers to the act of restoring a hardwood floor that has been damaged. Hardwood floors can be damaged from a variety of factors that include too much moisture, too much dryness, pets, etc. Exotic hardwood flooring refinishing refers to the act of refinishing an exotic hardwood flooring. Exotic hardwood flooring is composed of exotic hardwoods from Brazil, Asia, and Africa. The woods come from managed forests and beautifully transform any room. Exotic hardwood flooring never needs to be stained as the color will always remain true to the original. Hand refinishing wood floors refers to the process of refinishing a wood floor in order to bring back its original shine and preserve the quality of the wood. Hardwood floor refinishing refers to the process of refinishing a wood floor in order to bring back its original shine and preserve the quality of the wood. Hardwood floor resealing refers to the process of resealing a wood floor in order to preserve the shine and quality of the wood. Hickory wood flooring refinishing refers to the act of refinishing a hardwood floor made out of hickory. Hickory is made out of hickory wood and has a reputation for durability. It is one of the hardest wood floorings available. Home hardwood flooring refinishing refers to the act of refinishing a hardwood floor that is in a home. Home hardwood flooring is a reference to purchasing and installing a hardwood floor for the home. Hardwood floors increase the value of your home and if properly maintained, should last the lifetime of your home. Oak hardwood flooring refinishing refers to the act of refinishing a hardwood floor made out of oak. Oak hardwood flooring comes in red oak, which is the most popular flooring option, and white oak. Red oak is reddish in color and is a stiff, dense wood that resists wear. White oak is brown in color with a grayish cast and has more burls and swirls. It is harder and more resists wear better than red oak. Old wood floor refinishing services refers to the service of refinishing an old wood floor and bringing back its original shine while preserving the quality of the wood. Parquet wood flooring refinishing refers to the act of refinishing a parquet wood floor. Parquet wood floors have an original look from regular hardwood floors. They are made up of geometrical patterns composed of individual wood slats held in place by either mechanical fastening or adhesive. Pine floor refinishing refers to the act of refinishing a hardwood floor made out of pine. Pine flooring is made from pine which is a yellowish brown color and contains a lot of swirls and knots. It is almost as hard as red oak and has a natural resistance to insects. Plank hardwood flooring refinish refers to the act of refinishing a hardwood floor that is a plank style. Plank flooring has the appearance of very wide planks of wood. 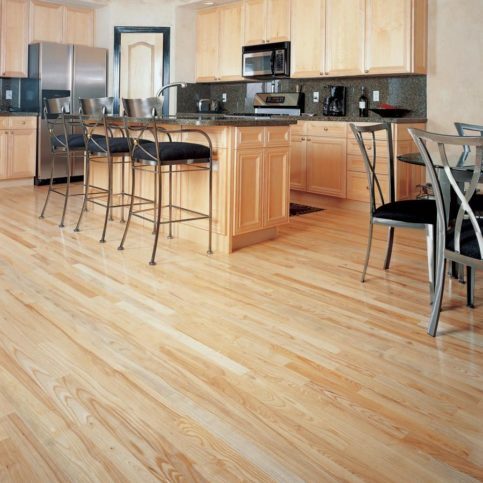 Refinish birch wood flooring refers to the act of refinishing a hardwood floor made out of birch. Birch flooring has the benefits of a hardwood floor such as hardness and durability, color variation, natural highlights in the wood, and comparable pricing to hardwoods. 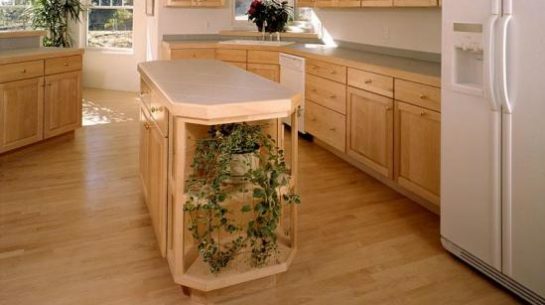 Birch flooring comes in paper birch, yellow birch, and sweet birch. Refinish distressed wood flooring refers to the act of refinishing distressed wood flooring. Distressed wood flooring is a recent trend in wood flooring that is rooted in history. The wood floor is scraped on site to make the floors flat, add texture, richness, and uniqueness. Though distressing a hardwood floor can and should be done by hand in order to maintain the natural look of the wood with wormholes, splits and other character markings, it is often done by machine which causes repetition of the pattern. 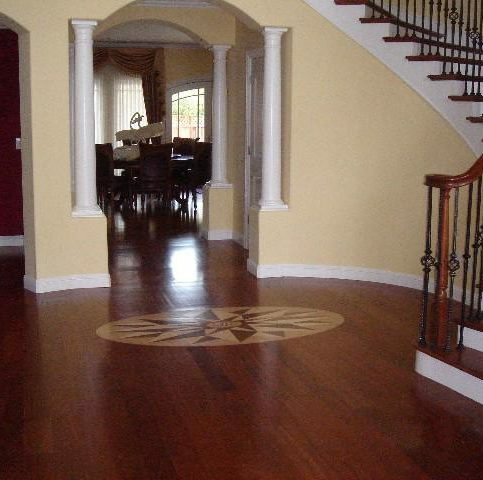 Refinish natural wood flooring refers to the act of refinishing a natural wood flooring. Natural wood flooring refers to a hardwood floor that preserves the natural beauty, color and characteristics of wood, including wormholes, splits and other character markings. Refinish oak hardwood flooring refers to the act of refinishing a hardwood floor composed of oak. 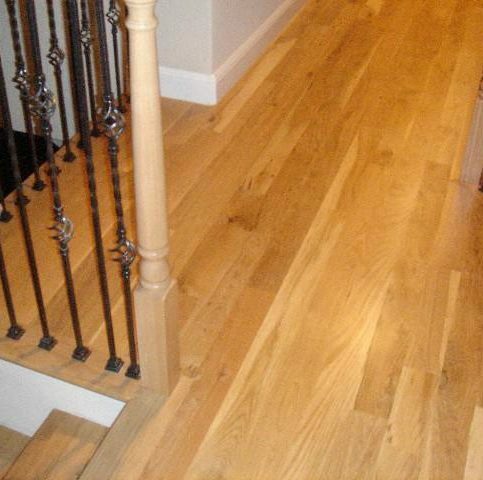 Oak hardwood flooring comes in red oak, which is the most popular flooring option, and white oak. Red oak is reddish in color and is a stiff, dense wood that resists wear. White oak is brown in color with a grayish cast and has more burls and swirls. It is harder and more resists wear better than red oak. 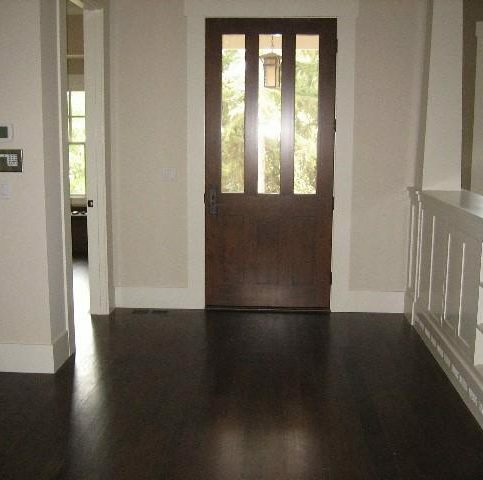 Refinish reclaimed wood flooring refers to the act of refinishing reclaimed wood flooring. Reclaimed wood flooring is created from wood that is taken for re-use. This reclaimed wood usually comes from timbers and decking that is stripped from old barns, factories and warehouses. 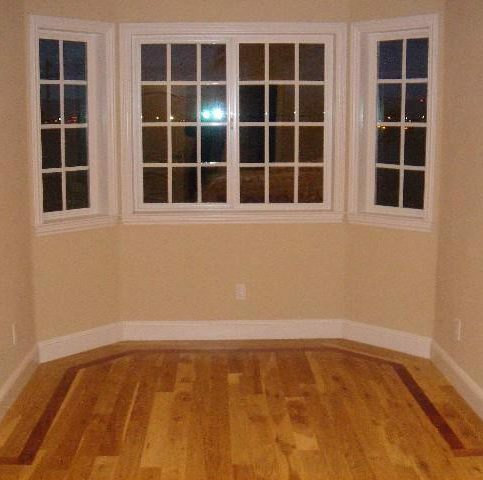 Refinish solid hardwood flooring refers to the act of refinishing a solid hardwood floor. Solid hardwood flooring is a solid hardwood floor that has been installed using solid wood rather than an engineered hardwood floor which has the look and appearance of solid wood but is not. 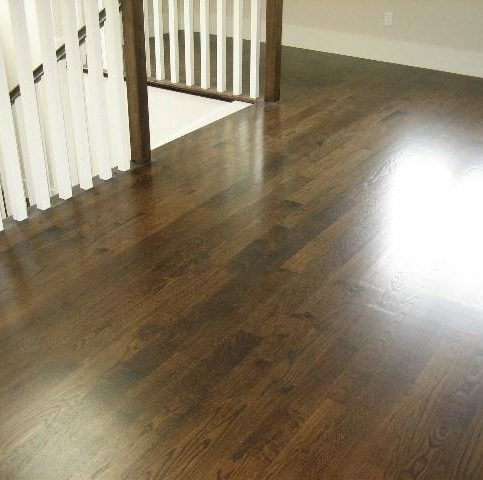 Refinish wide plank hardwood flooring refers to the act of refinishing a plank hardwood floor. Plank hardwood flooring is a style that has the appearance of very wide planks of wood. Refinished engineered wood flooring refers to the act of refinishing an engineered wood flooring. Engineered wood floors are built with 3-12 multiple ply layers that are cross layered, glued and pressed together. 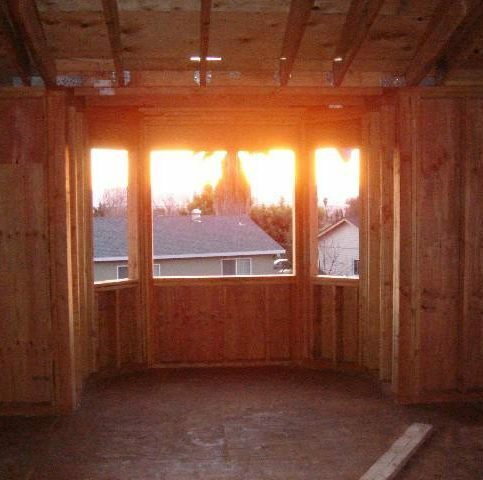 The inner layers are generally built up with either a hardwood or a soft plywood type of material. The top veneer wear layer is glued and pressed on the top surface. Engineered wood flooring is available in most all wood species. It is more resistant to higher moisture levels than solid wood flooring and it can be directly glued down over concrete slabs. 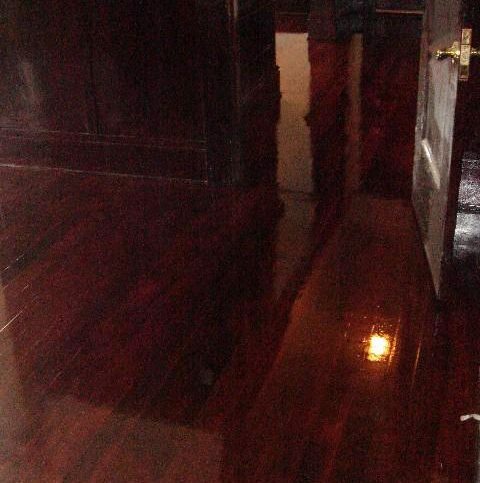 Refinishing floating wood floors refers to the act of refinishing floating wood floors. Floating wood floors are a form of an engineered wood floor that is installed using a floating method. 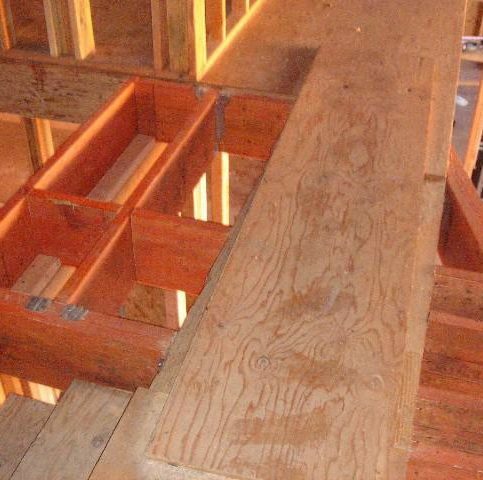 The wood floor is not secured to any subfloor but is suspended above the floor while resting on a cushioned underlayment. Rustic hardwood flooring refinishing refers to refinishing a rustic hardwood floor. 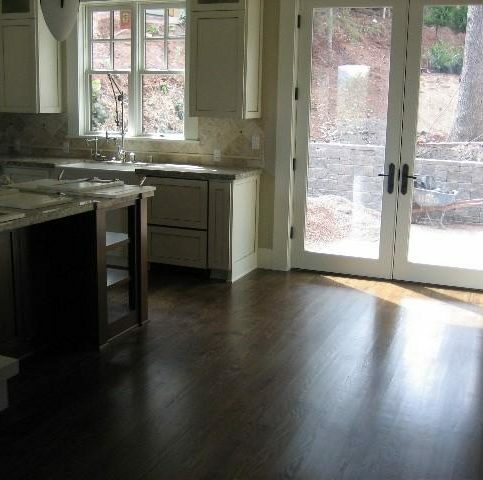 Rustic hardwood flooring is a wood flooring created from wood that is taken for re-use. This reclaimed wood usually comes from timbers and decking that is stripped from old barns, factories and warehouses. Teak wood floor refinishing refers to the act of refinishing a teak wood floor. Teak flooring is made out of the teak tree and is a highly durable, though very expensive, wood. The teak tree does not grow in rainforests and can withstand a lot of abuse which makes it the perfect choice for an active family. Walnut hardwood floor refinishing refers to the act of refinishing a walnut hardwood floor. Walnut hardwood flooring is made up of two groups: heartwood and sapwood. The walnut heartwood group varies in color from a deep, rich brown to a purplish black color. Walnut sapwood ranges from nearly white to a tan color. Sapwood is the outer part of the tree so it is less durable and more permeable. It is also the smoother of the two options which means that it warps more easily. The heartwood is the older, stronger part of the wood so it is a great choice for flooring. Wooden floors are floors made out of wood or materials that have the appearance of wood. Q: Why choose a Diamond Certified hardwood floor refinishing company? A: Diamond Certified helps you choose a hardwood floor refinishing company with confidence by offering a list of top-rated local companies who have passed the country’s most in-depth rating process. Only wood floor companies rated Highest in Quality earn the prestigious Diamond Certified award. Most companies can’t pass the ratings. American Ratings Corporation also monitors every Diamond Certified company with ongoing research and ratings. And your purchase is backed by the Diamond Certified Performance Guarantee. So you’ll feel confident choosing a Diamond Certified wood floor refinishing company. Q: How long does it take to refinish a hardwood floor? A: The average time that it takes to refinish a 1000 square foot area takes four to give days. Most buildings or homes have central heating that allows a refinishing company to keep the humidity under control which allows for the project to be completed faster. Q: Will I have to move out of my house while the floors are being refinished? A: It actually depends on the floor plan of your home. If you have a downstairs unit, you can stay there. However, if you have children, it is advisable that you stay elsewhere as the fumes from the refinishing can be slightly toxic as they are first drying. It is preferable that you are not living in the home during the last two days of finishing. Q: What about dust control while refinishing my hardwood floors? A: Most hardwood floor refinishing companies have dust control vacuum systems on their machines. Q: How extensive is preparation for refinishing a hardwood floor? A: Preparing to refinish a hardwood floor is not as extensive as painting a house. Basically the work area is contained which includes masking off any doorways to rooms that aren’t being worked in such as kitchens and baths. Q: When I removed my carpet so that I could sand and refinish my hardwood floors, I noticed several pet stains and water stains. Can they be sanded out or repaired? A: Deep stains will rarely sand out of the floor. The darker the stain, the deeper it is in the wood. The only solution is to replace the damaged wood. Sometimes you can replace a section of the hardwood floor if the bad stain is in a small, hidden area, such as a closet. But often when you replace a section with new wood, it may not perfectly match the existing floor. The best solution for multiple problems such as pet or water stains is to replace the entire floor. Q: What will screening my floor accomplish? Is it as effective as sanding and refinishing? A. 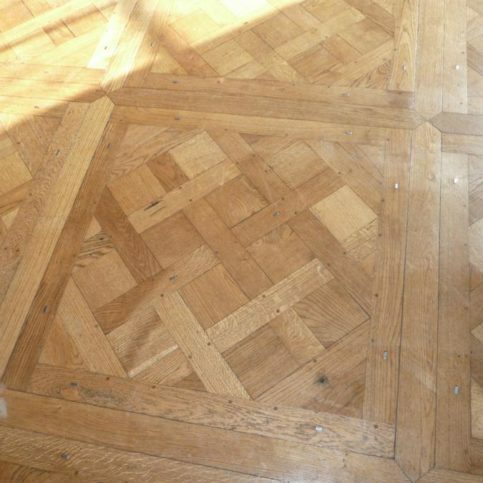 Screening the floor will only remove light marks caused by normal wear and tear. Once the floor is lightly sanded, otherwise known as screening, it will typically be coated with one coat of finish. It usually only takes one day to screen and recoat a hardwood floor. However, screening will not remove deeper scratches and indentations. Also, screening will not help a floor that has been worn down to the stain. In these cases, the floor should be completely sanded and refinished. Q: How long do I have to wait before I can walk on my newly finished hardwood floors? A: A newly finished floor can be walked on as quickly as 2-3 hours after finishing. You will want to wait at least two days before you move furniture back on the floors. You should wait at least a week before putting down an area rug. Q: What is the best way to speed up the drying process? A: After the floor has been refinished, leave the air conditioning or heat on at 70 degrees. 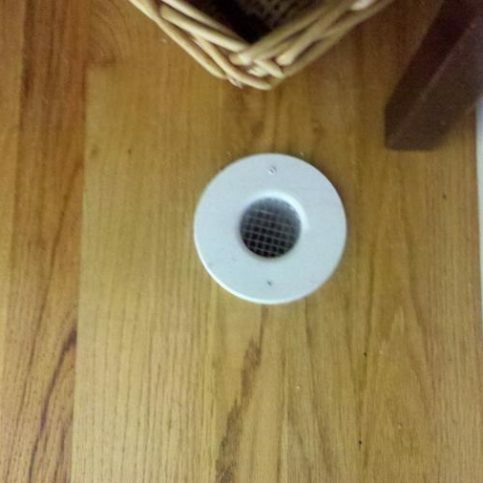 Turn on fans and set them up so that they move the air away from the newly finished floors.